Previously, I described a novel tool to measure healthcare value here…but let me tell you: whether you like that potential measure or not, right now there’s no commonly accepted way to measure what value looks like in healthcare. 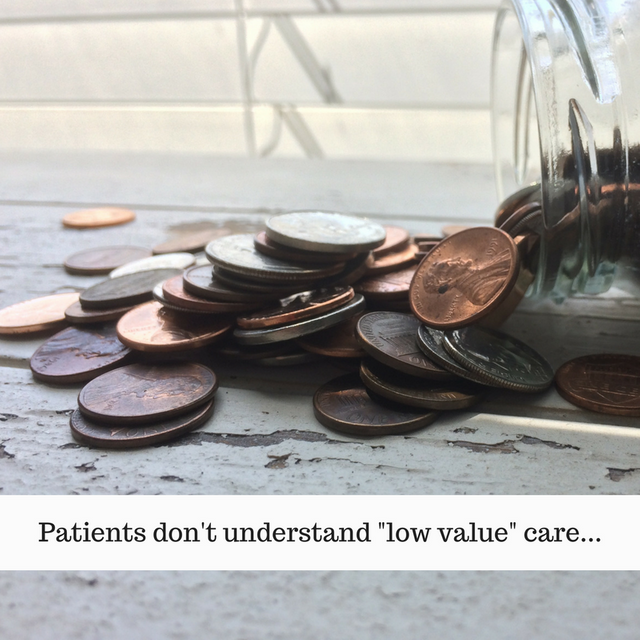 Can you blame patients for not understanding what “low value” care looks like if we, in the healthcare game, can’t get together on how exactly to measure value? Nope, probably not.